Read the article, or click the play button (right facing triangle) in the media player (directly below this text) to see the content in video form. The video includes paths to locate the plugin on your computer. Please note that these paths are contained in the article below the media player, knowing this will save you from writing them down, or trying to remember them. If you are going to the Export feature but the ColorChecker Passport plug-in is not showing properly it is most likely due to it being disabled, the path pointing to the wrong location, or the folder is missing entirely therefore the software application cannot locate it. To resolve this we simply need to add the file in the correct location. Next select Plug-in Manager. Look for the ColorChecker Passport within the Plug-in Manager options as below. If you see the plugin available here you will want to make sure that it is enabled. If it is disabled try to Enable it. If that is not working check that the path is correct. You will probably know if this doesn’t work right away as you may get a message showing that your plug-in is installed but not working properly or something of that nature. If that works for you then simply try to use the Plug-in and see if all is well. 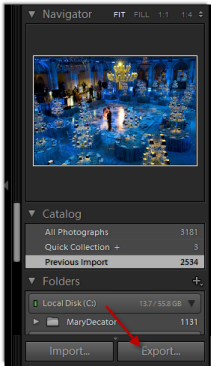 You might need to shut down Lightroom and then relaunch the program. If this does not work we need to now verify that the path is correct and that the folder is not missing. In Mac OS X click on the "Show In Finder" option. Library > Application Support > Adobe > Lightroom> Modules > XRiteColorCheckerPassport.lrplugin. If your plugin is showing as disabled you will simply need to click on "Enable". You will notice that the status has now changed from Disabled and the radio button is green showing Installed and running. If the status shows that it is "Installed: May Not work" this means that there is something that has become corrupted with the files path. The simplest way to resolve this is to go to Add/Remove programs and then uninstall your ColorChecker Passport software. Now reinstall the software but make sure that you have Lightroom closed during this process and you are logged in as an adminstrator. 2. Click on “Plug-in Manager” in the lower left corner. 3. Click “Add” in the lower left corner. 4. Make sure that the “Macintosh HD” is selected in the drop down at the top of the window. and then navigate to Library/Application Support/Adobe/Lightroom/Modules.